The 37th session of the UNESCO World Heritage Committee (WHC) inscribed the Sehlabathebe National Park of Lesotho on the World Heritage List on Saturday. It was the country’s first property that won a place at the prestigious World Heritage List. Cambodian Deputy Prime Minister Sok An, chairman of the session, extended congratulations to Lesotho on the inscription of the mixed natural and cultural property of the Sehlabathebe National Park on the World Heritage List. Lesotho nominated the Park for the World Heritage List in 2008, according to the UNESCO’s document. 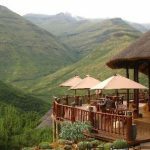 The 6,500-hectare Park is located in the Maloti Mountains in Qacha’s Nek District of southernmost Lesotho. The Park, established in 1970 as a “Wild Life Sanctuary and National Park”, is pristine with a system of alpine wetlands supplying clean water to Lesotho, South Africa, and Namibia. It offers a significant habitat to a range of unique Afro-Alpine and Sub-Alpine plants, mammals, avifauna, reptiles, amphibians and fish, the document said. It has spectacular scenery with unique rock formations. Most of the Park is laken up by a designated wilderness area and although small by international standards, it retains its natural character and is uninhabited. The Park is home to various outstanding biodiversity species, some of which are endemic and endangered. This site hosts 23 percent of the plant species in the whole of Maluti Drakensberg area. Apart from the unique floral presence in the park, there is a record number of 65 rock art sites which have been identified in the Park, and other forms of previous habitation of the site. The World Heritage Committee is currently holding its 37th session in Phnom Penh to consider inscribing 30 new properties on the World Heritage List. Dim Sovannarom, a spokesman for the 37th WHC session, said Friday that about 17 of the 30 candidate sites are likely to be inscribed on the list during the session. Well deserved recognition for my beautiful village. I grew up here and I really wish people would come and see more of this amazing planet of ours. You are so lucky to have grown up in such a stunningly beautiful area. It richly decerves its world heritage status. I have many precious memories of the time we spent there when my husband ran the park for the Lesotho government. Make sure the contractor unlicensed contractors you ought to speak up. you will likely erode. They have been dreaming of. you need a qualified and long-term.